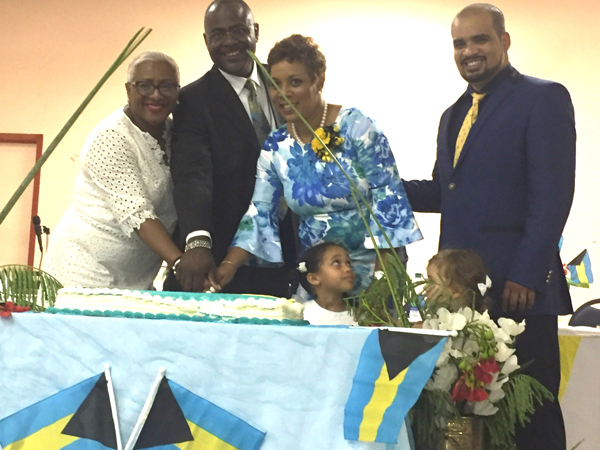 The Bahamas Consul General to Florida, Mrs. Linda Mackey, expressed appreciation and pride in the Bahamian diaspora of S. Florida in regards to their accomplishments and contributions to the S. Florida community over the years. 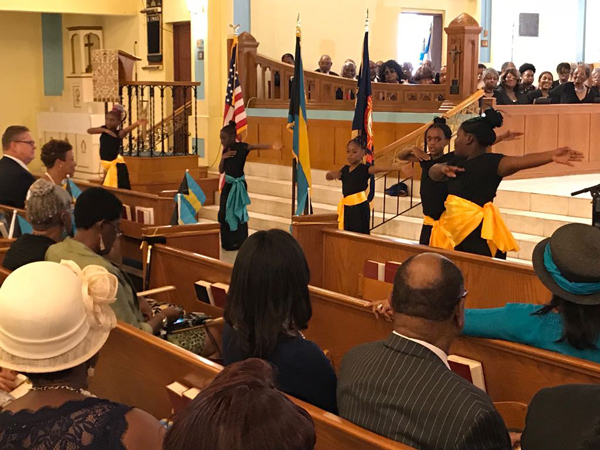 The Consul General spoke of the five Bahamians being honored as “educated and humble men and women who accomplished their dreams despite setbacks, disappointments and challenges, and doing so uncompromised. 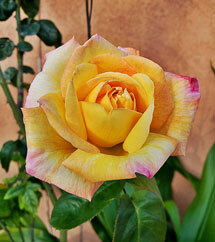 They were faithful as they trusted God to be faithful, and he was always faithful” she said. 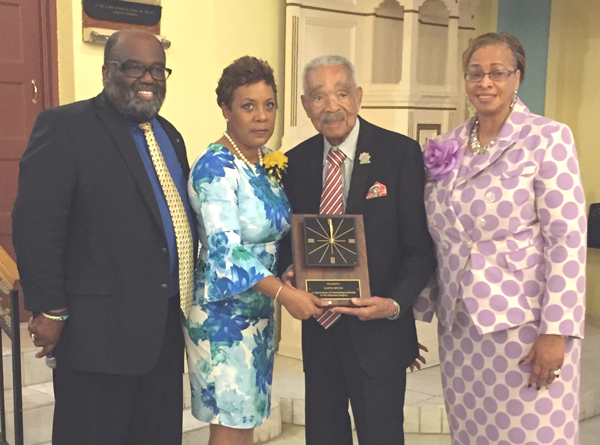 Andy Ingraham, a prominent member of the Bahamian diaspora, South Florida at left with Bahamas Consul General Florida, Linda Mackey and Deputy Consul General Florida, Sandra Carey, Right, present plaques to Garth Reeves, honored at Ecumenical Service 2018. 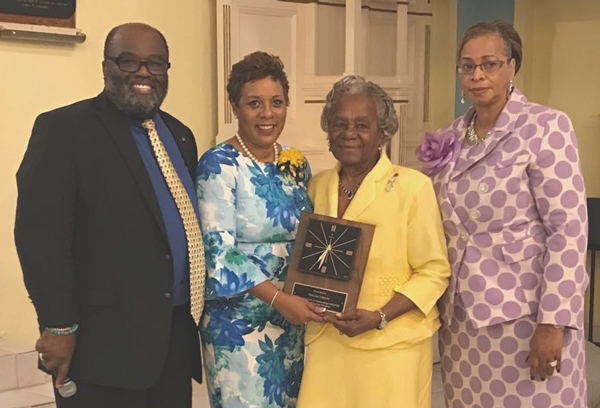 Andy Ingraham, a prominent member of the Bahamian diaspora, South Florida at left with Bahamas Consul General Florida, Linda Mackey and Deputy Consul General Florida, Sandra Carey, Right, present plaques to Nurse Thelma Gibson,honored at Ecumenical Service 2018. 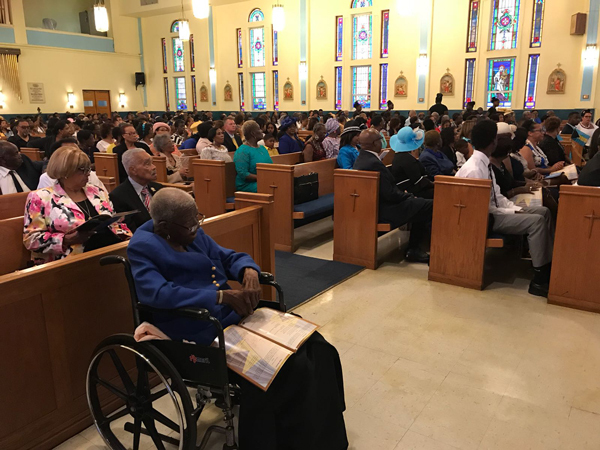 Other notable Bahamians honored on Sunday included another well-known activist in the Florida Community, Mrs. Thelma Gibson a descendant of some of the first Bahamians to settle the Coconut Grove community of Miami, Florida. 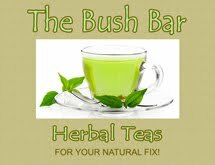 Dr. Gershwin Blyden, a leading physician in the field of Oncology, in South Florida was also honored, as was Georgianna Johnson Bethel. Also, of Bahamian descent, and honored was Mayor Eric Jones of the City of West Park, Florida. 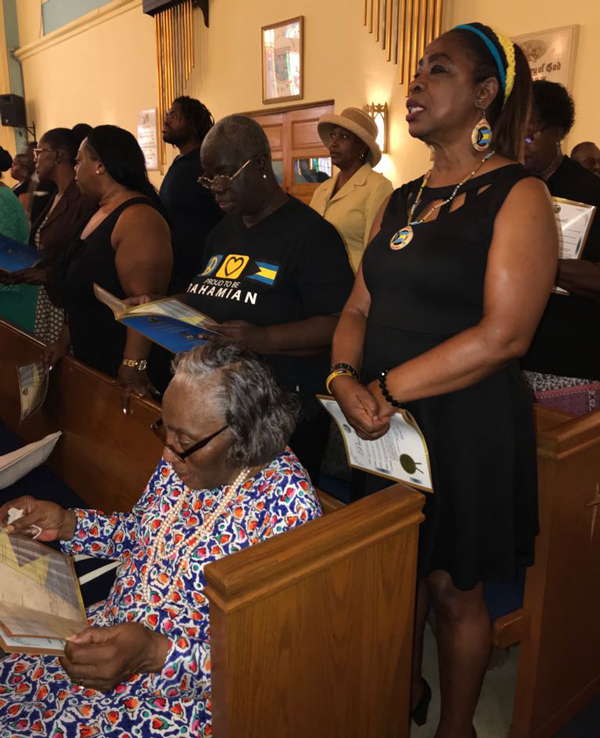 The Ecumenical service which is organized and hosted annually by The Bahamas Consulate General Office, Florida, once again drew a record crowd of members of the Bahamian diaspora in Florida, with attendees hailing from across South Florida but even as north as West Palm Beach up to Jupiter, Florida. 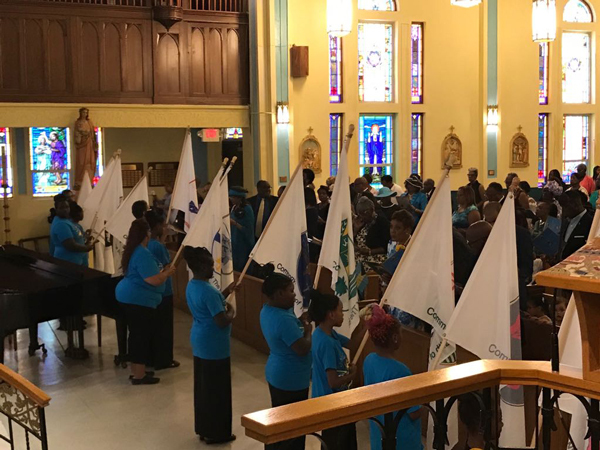 Special guests were the children of Our Lady’s and St. Stephen “Angels of Praise Dance Troupe,” from Bimini, Bahamas, who delighted the audience with a praise dance. 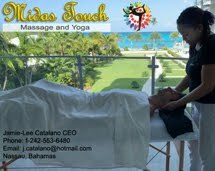 Bahamian son of the soil and rector of St. Agnes, Rev. 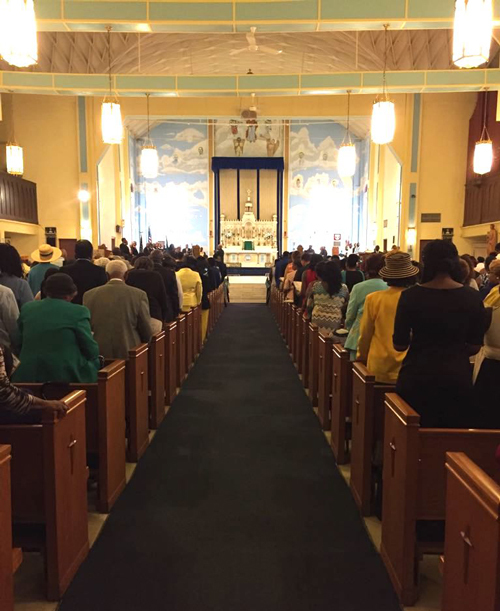 Father Denrick Rolle, welcomed the audience of well over 300 persons in attendance. 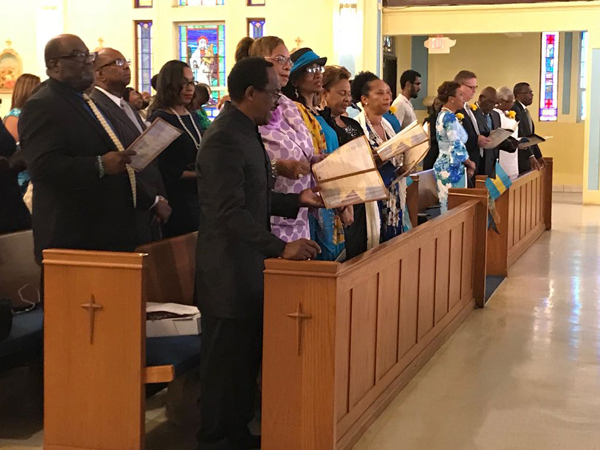 As is the norm annually, the service featured the participation of Bahamian clergymen from various denominations across Florida communities, and was attended by both Bahamian government representatives and officials and representatives of government from South Florida as well as members of the local diplomatic corp. This year’s Independence Message was brought by Rev. C. Lloyd Newton, PhD of St. Matthew’s Episcopal Church, Delray Beach Florida. Prayers were presented for the International Community, by Dr. William Pickard; for the nation, by Rev. Roberta (Bobby) Knowles of the Church of the Incarnation; for the government, by Senator the Honorable Katherine (Kay) Forbes-Smith; for the diaspora, by Rubyann Bradshaw, Vice President, National Association of Bahamians and for the Youth by Kirkland Sands Jr. The choir of the Church of the Incarnation, provided the musical selections. Also making brief remarks on the occasion was Opposition leader in the Bahamas Senate, the Honorable, Fred Mitchell. “On this 45th anniversary we remember where we’ve come from and by faith we have come a long, long way. Independence doesn’t solve problems but it gives the authority to decide for yourself, good or bad,” Senator Mitchell said. 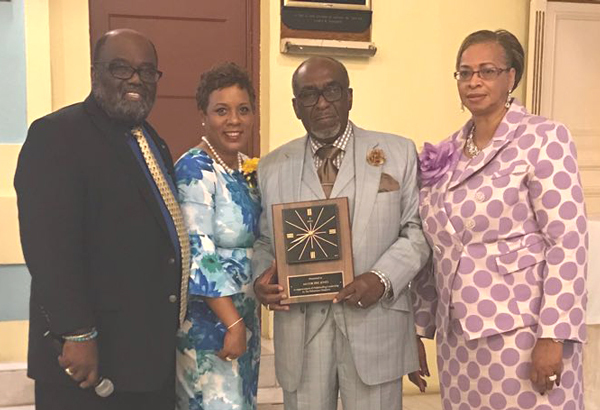 Andy Ingraham, a prominent member of the Bahamian diaspora, South Florida at left with Bahamas Consul General Florida, Linda Mackey and Deputy Consul General Florida, Sandra Carey, Right, present plaques to Dr. Gerswyn Blyden, honored at Ecumenical Service 2018. Bahamas Independence Celebrations in South Florida will continue with the Annual National Association of Bahamians (NAB) Scholarship Gala this Saturday (July 21st). The event which will mark the Association’s 25th Anniversary, will take place at 7:00 p.m. at Shula’s Hotel and Golf Club, 6842 Main St., Miami Lakes, FL. 33014. 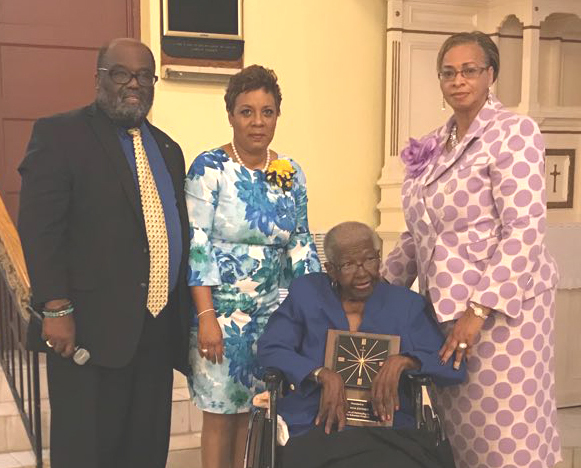 Andy Ingraham, a prominent member of the Bahamian diaspora, South Florida at left with Bahamas Consul General Florida, Linda Mackey and Deputy Consul General Florida, Sandra Carey, Right, present plaques to Georgianna Johnson, honored at Ecumenical Service 2018. The local S Florida Independence events will culminate on July 28th with The Essence Of The Bahamas Festival at the Bahamian Connection Village, 4400 NW 2nd Ave. Miami, FL, 12 noon to 12 midnight. 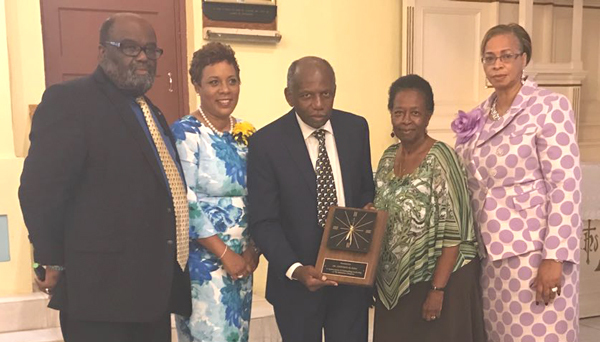 Andy Ingraham, a prominent member of the Bahamian diaspora, South Florida at left with Bahamas Consul General Florida, Linda Mackey and Deputy Consul General Florida, Sandra Carey, Right, present plaques to Mayor Eric Jones, honored at Ecumenical Service 2018.